Ms. Tibbals’ early interest in performance-based assessments that push the envelope led her to involvement in the development of state assessments in two states – Kentucky and California. 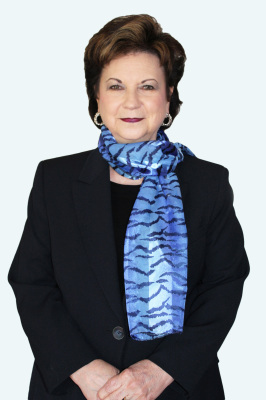 In California, Ms. Tibbals worked on the development of the Golden State Examinations, while in Kentucky, she served as Director of Assessment Development at the start of the state’s massive education reform, leading the division that developed the nation’s first standards-based/performance-based state assessment system. This assessment received the Breaking the Mold Award from the U.S. Department of Education. Ms. Tibbals also provided consulting services to the Minister of Education in Bermuda, advising on standards-based reform and providing professional development to the Minister’s leadership staff. In 2002, Ms. Tibbals became a private consultant working with a variety of organizations and school districts. From 2002-2007, Ms. Tibbals served as a primary consultant to the Los Angeles Unified School District on the design and implementation of the District’s Secondary Reform. In this capacity she developed the LAUSD Teacher Quality Strategic Plan that was adopted by the Board of Education, wrote the district’s Secondary Reform Concept Paper, developed ten standards-based professional development modules and provided training district-wide. She also created and delivered a series of writing institutes conducted over two summers that involved teachers and administrators using a NAEP-like scoring rubric designed to California content standards to score student writing samples for the purpose of identifying student errors and misconceptions and designing instruction to address them. consults for education businesses. She served as National Consultant on standards and performance-assessment for one company, and as Senior Advisor for Common Core products and services for another.